Did you know that Google gives each new employee a CD case, a CD-ROM holder. I don't know if there is an CD in the case, doesn't seem to be. I also don't know when the last time I had a computer that was able to read from a CD without an external drive of some sorts. 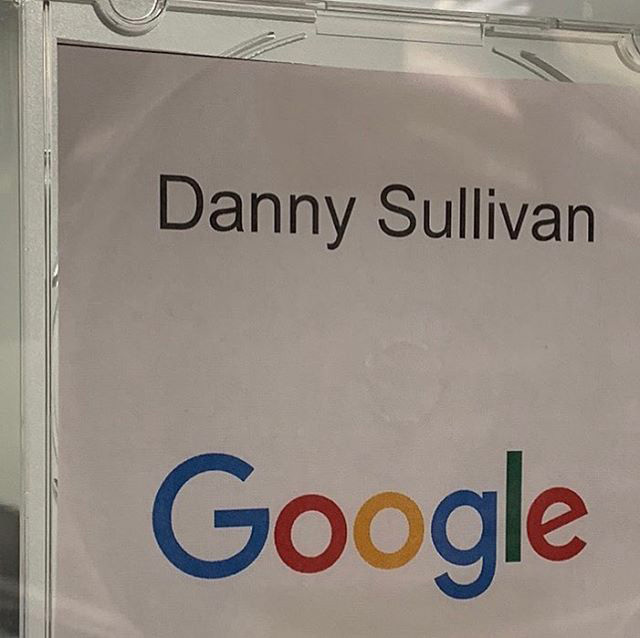 But here is Danny Sullivan sharing a photo on Instagram of his official CD case from Google. He said "When you start at Google, you get a CD case with your name to go by your desk. But I work remote, so I never got one. I do have a desk up in Mountain View for when I'm up there occasionally. After an office move while I was gone, came in today and ... hey, I'm official with a case now :)"